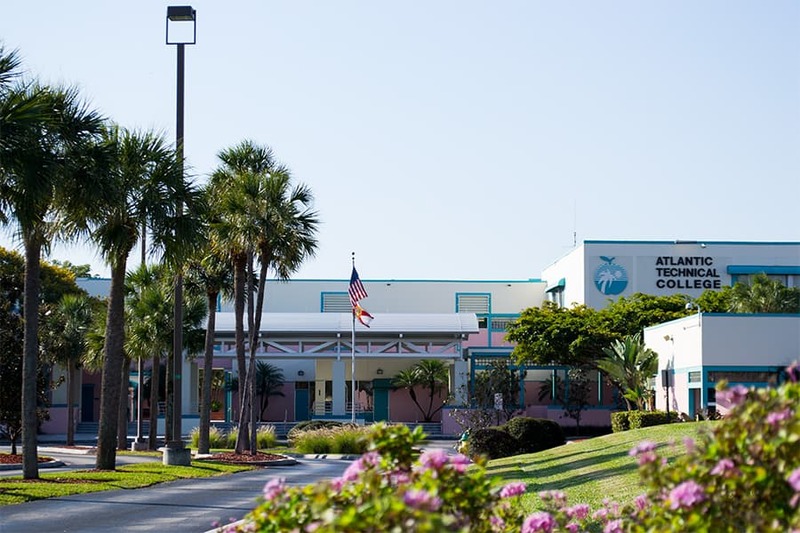 On behalf of the entire faculty, staff and student body of Atlantic Technical College and Technical High School, I would like to welcome you to our campuses and to the many educational programs and opportunities that we offer. Our mission is to assist you in any way possible to achieve your academic and career goals. We offer over 30 challenging instructional programs in high wage, high skill and high demand occupations. All of the career and technical programs are aligned with state and national standards. You will have the opportunity to earn industry credentials and articulated college credit to our state college system upon completion of your program. We look forward to working with you and wish you the very best in achieving your goals! For those who want to “earn-as-they-learn,” ATC provides cooperative training opportunities in many programs and coordinates the largest apprenticeship training program in the state. Atlantic’s Technical High School has been designated a National Model School by the International Center for Leadership in Education. Atlantic Technical High School’s unique design allows students to become immersed in a rigorous and challenging learning environment, while capturing their interest in a variety of career focused electives. Students will earn a diploma with credentials surpassing the state requirements in academics, enabling them to be competitive in the college admission process. Technology is integrated into every aspect of the educational program fostering an innovative learning environment. Teachers encourage critical thinking and employ diverse teaching methodologies. Small class size allows for personalization among students, teachers and parents. In addition, students have the opportunity to earn certification in a technical program of study and nationally recognized industry certifications. ATC offers a wide array of technical programs from which students select their junior and senior year electives. The program selection process is thorough and precise, enabling all students to make informed choices. The school design is based on the philosophy of Coalition of Essential Schools and High Schools That Work, two nationally recognized educational reform models of excellence.